Oregon OH Tires & Auto Repair Shop | Tri County Tire, Inc.
Go more places and maximize work efficiency with the right tires for the job. Tri County Tire, Inc. provides new and used tires for everyone from leading tire brands like Cooper, Nexen, and Firestone. Shop passenger tires for daily commutes. Contact us for ATV and dirt bike tires that create more adventure opportunities. Find the best AG tires for your farm tractor and other agricultural equipment, or maximize performance at the warehouse or construction site with industrial tires built for heavy-duty jobs. Whatever your tire, whatever your tread, we make it easy to get what you need. Commercial and farm tire roadside service is available anytime. Call (419) 836-7788 during regular business hours or reach us after hours at (419) 241-0945. Don't forget to check back for regular tire maintenance to maximize tire life and performance. 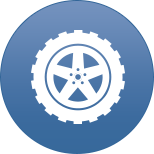 We offer tire installation, tire rotation, wheel balancing, and flat tire repair. Since 1983, it's been our pleasure to serve Northwest Ohio and the Southeastern Michigan region. Tri County Tire, Inc. is your complete tire headquarters where we combine speed and selection to match you with the best tires when you need them. We're big on personalized service, because we know your needs aren't always the same as your neighbor. Our staff includes technicians who have been with us 30+ years. They're pros at giving tire suggestions and car advice. In addition to tire sales, we provide automotive repairs. Our ASE-certified technicians can help with everything from your next oil change or brake repair to gas and diesel engine repairs. Allow us to restore vehicle performance today. Estimates are available. Call (419) 836-7788 or schedule your service online today. On the run? 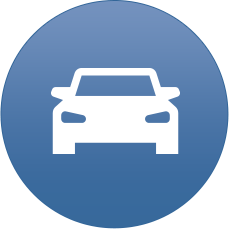 We offer free loaner cars, and we provide free pick up and delivery of your vehicle. Tri County Tire, Inc. is located at 7511 Jerusalem Rd. Oregon, OH 43616. Our hours are Monday through Friday 8:00 AM to 6:00 PM and Saturday 8:00 AM to 12:00 PM. We serve Oregon, OH, Toledo, OH, Northwood, OH, Walbridge, OH, Millbury, OH, Curtice, OH, and Rossford, OH. Read reviews from our customers, or share your own experience with our team.